Cars are meant to be driven, and what’s more fun than sharing the experience with a group of like-minded individuals? Automotive rallies and tours surround you with good people who like to socialize and speak your language. These events offer support, too. Sure, you can travel by yourself, but there’s safety in numbers, especially if you suffer a mechanical issue or face inclement weather. Perhaps the biggest benefit, however, is that someone else will be tasked with the grunt work: figuring out where to drive, where to stay and where to eat. 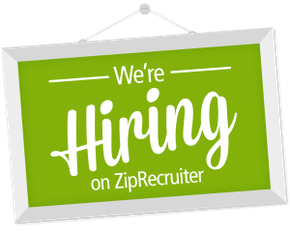 This job may not be as easy as circling a few places on a map, but it is rewarding. We have personally participated in at least a hundred automotive tours, rallies and press trips. On every one, there were things we liked and things we didn’t. We figured we could use that information to organize the perfect tour. At the same time, we’d show our participants that Florida is a beautiful state that offers some great driving roads. The result was this past spring’s Orange Blossom Tour. Hosting this event yielded another benefit: this article about how to host a tour yourself. Don’t worry, though; this piece isn’t based solely on our experience. We also called in some outside experts, like Jim Sitton, Phil Shires and Jeremy Barnes, to help with the story. Jim and Phil are involved in the Going to the Sun Rally and the Colorado Grand, respectively. As Mazda’s director of communications and national events, Jeremy oversees the company’s media launches. Whether you’re planning a yearlong rally from here to Argentina or just a fun afternoon drive for your local club, some real experience from the best in the business will make things smoother and more fun for all involved. We hope it helps—and that you don’t get lost. Before we get to the steps, let’s talk money. As an outsider looking in, you may think that food and lodging represent 100 percent of the expenses associated with a road tour. That’s not so, as fuel, marketing costs and, most importantly, staff time can make big dents in an organizer’s budget. First, a route has to be determined. More than once we found the perfect road—only to realize that it ended in dirt or faced long-term construction that would coincide with our tour date. The government stimulus plan may be putting America back to work, but at the same time it seems that every great road in the country is undergoing repairs. You also pay for inside knowledge. On our Orange Blossom Tour, we didn’t eat at any bad restaurants or stay in any bad hotels. Do you know how many bad restaurants and bad hotels a tour organizer has to visit so the participants don’t? This takes time and money, but the end result is what makes attending a well-organized tour or rally worthwhile. Here’s another luxury that adds to the overall cost: providing a sag wagon, ideally one that’s manned by a professional mechanic and stocked with tools and spares. If the sag wagon is pulling an empty trailer, all the better. We had a new Mazda MX-5 Miata ready in case a car went down. While these measures were expensive, they guaranteed that nobody’s tour would be ruined by mechanical problems. Picture yourself 3000 miles from home, cruising through the twisties just east of De Leon Springs, Florida, when the brakes on your Harrington Sunbeam suddenly fail. Instead of being on your own and not knowing where help may lie, within a minute a mechanic is by your side. Within 15 minutes, your car is back on the road, all at no charge. This is reality, as it happened to one of our tour participants. If you’re planning a low-cost club weekend, you can get away with some mistakes and disorganization. If you’re catering to the wealthiest people in America, however, the game is played differently. Each market will anticipate different accommodations, but sometimes organizers simply can’t meet certain demands. For example, as Phil explains, the Ritz-Carlton doesn’t have a resort on the Western Slope. Then again, those who go on the Colorado Grand tours know not to expect one. You also need to decide if your event is open to all cars or only certain types. 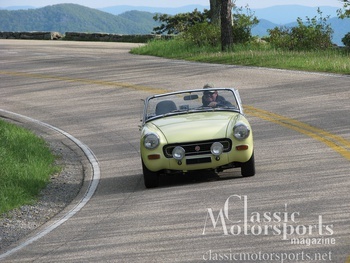 Can any cool car participate, or are there restrictions regarding year of manufacture or country of origin? Tip: Decide on the demographic you’re after. Beer and barbecue can work just as well as wine and cheese. Once that’s determined, stay consistent in your approach, marketing and pricing. When planning your own tour, don't forget that it's okay to include a few non-car activities. The route is probably the most important part of a tour. Where participants drive, what they see, and how easily they can follow the directions will make or break your event. As the tour master, you are the chef mixing the soup. Sure, people like the twisties, but too much aggressive driving is hard on cars and can leave participants a bit worn out. Mix up your roads so that drivers get 15 to 20 minutes of switchbacks followed by some time to kick back and enjoy the scenery. For the Orange Blossom Tour, we tried to make everyone happy with a balance of nature, history and car stuff. Think about your total audience, as the enthusiasts often bring car-neutral passengers. 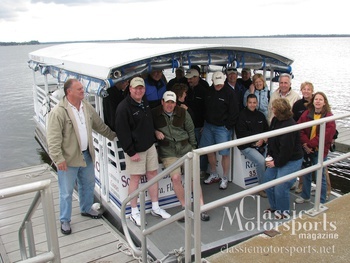 Our tour featured a few laps around the high banks of Daytona as well as a boat tour through the Dora Canal. In fact, we tried to have a car activity as well as a non-car activity on each day’s schedule. We explored the old fort in St. Augustine, viewed Frank Llyod Wright architecture at Florida Southern University, and visited two of our favorite natural springs. The participants seemed to like the mix. Even our motorsports activities were varied. We included sports cars, stock cars, drag racing and even airplanes on our schedule. It seemed that each stop was the highlight of the tour for at least one participant. Tip: The romantic notion of driving an old car can turn ugly when combined with the stop-and-go traffic of a congested city and the realities of construction detours. Research potential problem areas before committing to a route, and avoid starting and ending a tour in a major city. We’ve seen many tours that tried to accomplish too much each day, and we swore that ours wouldn’t make that mistake. Looking back, we admit that a few days of the Orange Blossom Tour were too full. We simply wanted to hit all of the area’s high points, but sometimes less can be more. We tried to limit our driving to 150 miles per day. This may not sound like much, but depending on road speeds and traffic this is plenty in an older car. If your route features wide-open spaces and higher speeds, then you can extend this pace a bit. The big points on the schedule are going to be your meal stops. Most people don’t want to get going much earlier than 9:00 a.m., while lunch should be no later than 12:30 or 1:00 p.m.—don’t forget, people get cranky when they’re hungry. At the end of the day, aim to have everyone at the bar no later than 5:00 or 5:30 p.m.
Day 1: It’s okay to cover many miles. Day 2: Back off to a medium number of miles. Day 3: Take the day off with an option for a drive or interesting things to do in the area. Day 4: Do another day of a medium number of miles. sing ceremony, and a light dinner. Tip: At the end of the day, people are tired. Save your challenging roads for early in the day when people are pumped up. We decided that the perfect time for our tour was the week between the Amelia Island Concours and the annual pilgrimage to Sebring for the 12-hour race. We figured that those attending these two events were looking for something to do during the week in between. Hooking up with an existing event can make it easier to sell tickets for a tour or rally. 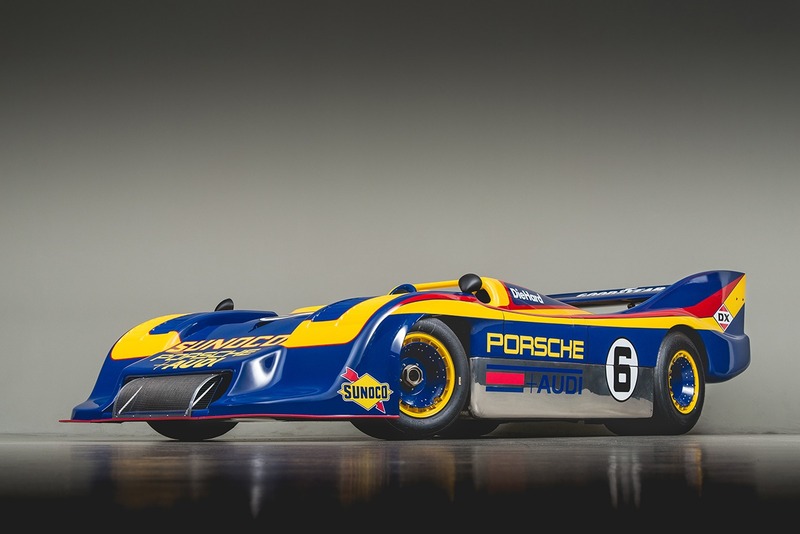 We had a built-in market of more than 20,000 true enthusiasts that would be coming down for either Sebring or Amelia Island. Additionally, Florida’s weather is generally nice and mild during that time of the year. That said, we did have several people tell us that the weather up north prevented them from participating. It was simply too early to bring their cars outside, even if they were going to trailer them to Florida. Both the Going to the Sun Rally and the Colorado Grand are held in September for a reason: Tourist season has ended—meaning the rates are reasonable, places aren’t sold out, and the lumbering RVs are off the road—yet the weather is still comfortable. The summer heat has passed, but winter hasn’t arrived. Tip: Consider your timing. The plus side: The economy was still reeling, so businesses welcomed us with open arms. The downside: We were at the height of the season, which affected room rates and traffic. Moving 40 to 60 people is completely different from just going on a ride by yourself. While we anticipated the extra difficulty, we were surprised that our group size made nearly every situation more difficult—from route book planning to parking to choosing how and where to eat. For example, just pulling out of the Brumos Porsche museum parking lot set us back about 10 or 15 minutes. When we mapped this section, we didn’t figure that the excruciatingly long traffic light would only let three cars through at a time. When we drove it alone—twice, even—we got to the light, waited for it to change, and then drove through without a second thought. Who has time to sit at every light and see how many cars will go through on each cycle? If you’re running on a schedule, it pays to think through this type of thing. However, the Going to the Sun Rally and the Colorado Grand don’t follow a set schedule. This allows participants to travel at their own pace. “We design the lunch stops so they are during a range of time, say 12:00 p.m. to 1:30 p.m.,” Jim explains. “Members can be early or late and it doesn’t matter.” When their routes contain stretches of road without restaurants, they’ll simply provide box lunches. Of course, sometimes a specific stop has to happen at a specific time. On the Orange Blossom Tour, for example, we had to catch a ferry that ran every half hour in order to make our Brumos Porsche tour. If we didn’t run this part of the tour on time, we would have missed out. Looking back, we can now see the value in the more laid-back approach. We think that there would be fewer cats to herd. Assuming you’re doing a tour that lasts more than a day, you’ll need to plan stops for the evening. The key is finding a hotel that’s appropriate for your group. Restaurants can be another major stumbling block. How many people can they seat? How big is their kitchen? Does the group need to be there before or after peak time? Do they have enough staff to serve 30 or 60 people at the same time? How about if the group is running early or late? When in doubt, a buffet—while not as classy—can be much easier to manage. Remember something we mentioned earlier: Hungry people quickly get crabby. No matter where your group stops, you’ll also need to deal with parking. It needs to be a safe, convenient lot that can hold your entire group. If there is no security, your staff will need to stand by the cars and make sure nobody messes with them. Door dings ruin an otherwise well-organized event. We looked for hotels that offered underground, secured parking. If that wasn’t available, we asked for our own separate outside lot. As tour operator you are one part host, one part leader, one part social director and one part parent. You set the tone and the mood of your event. Fortunately, most people who come on these types of tours are social by nature. They’re fun-loving and looking to meet other people with similar interests. Problems are generally few and far between. That said, there is always “that guy” on every tour. If you can’t figure out who it is, then it’s probably you. On our Orange Blossom Tour, we had a very good group. There were a couple of people who needed a little coaxing, but after the first day we had no problems. As the host you must pay attention to the group dynamic. If someone is unhappy or not fitting in, then you need to solve their problem. The solution usually involves a bit of extra attention or some humor. If things are getting too far out of control, a stern word may be needed. We had one person get a little unhappy about missing a breakfast stop. They blamed the route book, which we knew was correct. Once we went through the book with them and found their error, all was well. You have to be friendly, but you also have to be strong. Tip: Start your event with a mixer, whether it be a low-key car show or a cocktail party the night before hitting the road. Give the group an opportunity to get to know each other. On our event, we really went overboard with the details. We were trying to make a statement. Every morning started with a trinket from the day before or the day ahead. At the end of each day, participants were greeted with a smile and a cold drink. These details don’t have to be expensive, though. 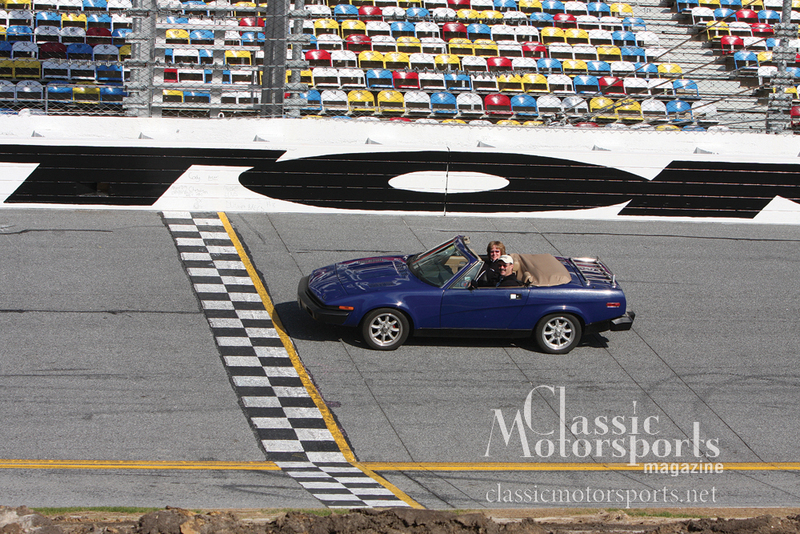 Each Orange Blossom Tour participant received a photo of themselves running the high banks of Daytona. That’s expensive to produce, right? Nope. Our photographer shot the images, and we did the printing back at the office. We stuck the photos in off-the-shelf frames so we could hand them out in the evening. It’s the little touches that make the difference. Name tags can also be a nice detail. Realistically, it’s hard to learn the names of an entire group, and tags can help bring everyone together. These can range from stick-on labels to professional engraved pieces. Handling luggage is also one of those touches that adds to the participants’ enjoyment. In fact, both Phil and Jim stressed the importance of getting the luggage to the hotels before the participants arrived. Banners are a tasteful, nonintrusive way of acknowledging the event sponsors. Most tours, at least at a national level, have some sponsors. 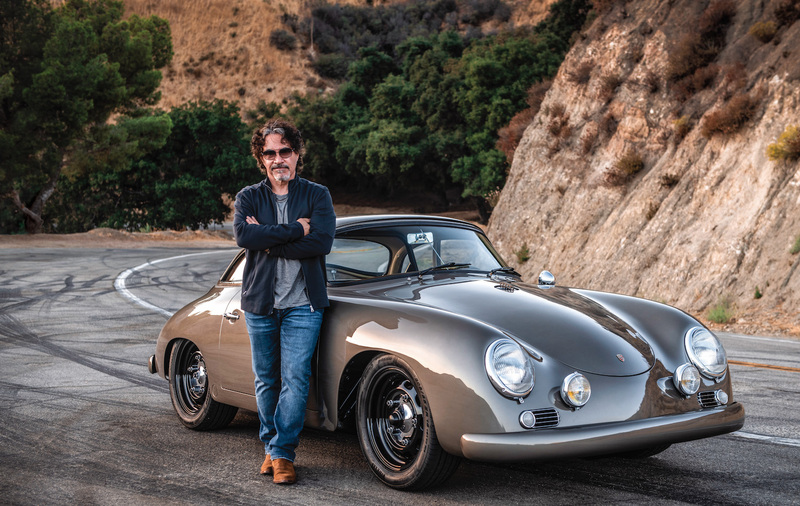 Typically, car companies and those that cater to high-end enthusiasts are involved in these tours—firms like Mercedes-Benz, Hagerty, Exxon and Premier Financial Services. 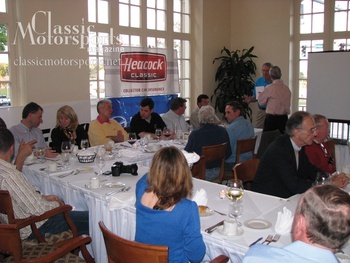 Mazda, Heacock Classic Insurance and Bridgestone sponsored our Orange Blossom Tour event. Even though these tours don’t cater to a huge number of participants, there is a big benefit for companies who get involved. As Jeremy Barnes explains, it’s not about the size of the event, but rather about making Mazda part of people’s passion for their hobby. “That is why we sponsor this type of event,” he explains. Most groups that sell sponsorships, especially at the local club level, tend to come up a bit short when fulfilling that commitment. They may make all sorts of promises but then forget about the details. This is often not done maliciously. Once the sponsorship is sold, the rookie simply moves on to the next task at hand. Usually the details of the deal are quickly forgotten by well-intentioned volunteers. When we put on events, we have two systems that help us in this regard. First, we always do more than we promise. If we agree to do four things, we’ll deliver six. Before we even send the proposal, in fact, we’ll have those extras in mind. It’s simple: Give sponsors more than what is promised, and they will come back the following year. The second thing we do is make a timeline for each event that we host. These timelines cover everything, from when rooms need to be booked to the date the route needs to be finalized. They also include our marketing plans and sponsor commitments. Don’t forget, however, that participants are paying to go on this tour. They’re probably not going to want to sit through a product talk. The value the sponsor gets will depend on their ability to mingle with participants as well as the publicity your event receives. Hopefully that publicity includes your sponsors’ names. Tip: Price your sponsorship accordingly and you can cover some of the event expenses. Budgets are hard, especially for a first-year event. Still, you need to sit down with a spreadsheet and build a realistic income statement. Important factors include marketing and production costs. Required staff time is another significant factor; the Colorado Grand, for example, is put on by 12 volunteers plus one paid event coordinator. Don’t forget to include your food, lodging, insurance and entertainment expenses. Finally, the big question: How many participants are needed to make the tour a financial success? We went at this part of the production wrong, however. We set a target price for participants first—$2995 per couple—and then built our tour around that figure. Unfortunately, we were not willing to compromise on either the accommodations or the entertainment. Thank goodness we had some good sponsors to get us through our first year. Tip: When pricing a tour, you need to figure in alcohol. It can be one of the largest expenses. While no one should expect an open bar each night—most tour participants are mature adults, not kids on spring break—the bar bill can get hefty. To help keep our tour price reasonable, we usually offered two glasses of wine per evening. A sponsor hosted one cocktail party, and we handed out coupons when visiting an Irish pub. Our sports car world is served by a huge number of organized road events, from afternoon drives hosted by local clubs to gourmet-fed adventures. It’s not impossible to put together something that caters to your group. The trick, of course, is getting all of the details handled before that first car leaves the kickoff point. Make it a memorable event, and people—and their friends—will keep returning. Join Free Join our community to easily find more Abarth, AC, Acura and Alfa Romeo articles.